So in our own, custom-developed system monitor, I’ve built-in an alert to let us know when the system has rebooted. Case in point, a customer this morning came in to find her Liberty4 Consignment software had locked-up when they left it open over night. 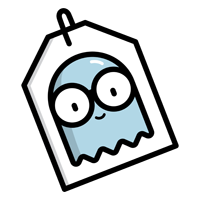 This on a perfectly-clean, perfectly-configured, extremely fast MiniPeep consignment computer system (with an Intel i3 CPU, SSD, and 8 GB of RAM). 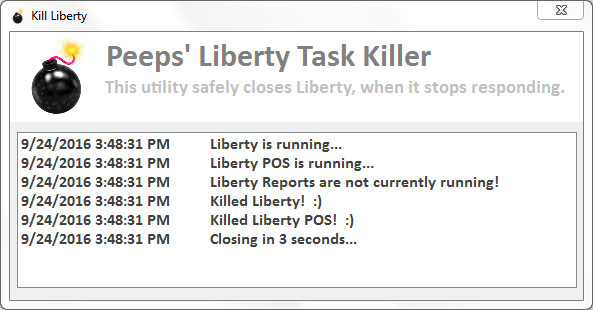 We have our Peeps’ Liberty Task Killer button on each computer, so our customers can safely and quickly kill the locked-up program and open it again, without having to reboot. Knowing the system had been rebooted, allowed me to call the store, check-in, and help our customer. The employee is now aware of our Kill Liberty button, so she can save time, and she’s also aware that Liberty can lock-up overnight if left open (e.g. if you leave the backup utility window open). We build our monitoring systems around a set of issues unique to consignment and resale store owners and in such a way that we can identify problems + proactively help them — we’re not just sitting here waiting for our customers to call us with issues.